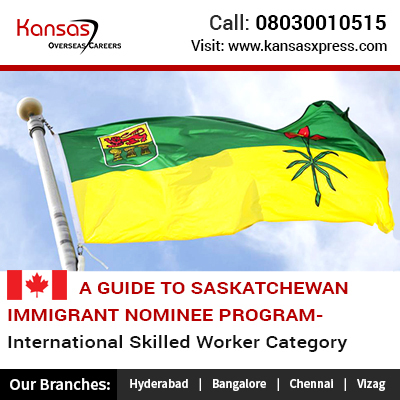 Those skilled workers who wish to get job and settle down in Saskatchewan will have to apply under the Saskatchewan Immigrant Nominee Program. The candidate needs to have required education qualification, language skills and the required work experience to settle down in this region. The province can nominate those candidates who are already a part of the express entry pool. They need to have the required qualification and work experience. They must fulfil all the other requirements of the sub category like language competency etc. The candidate needs to submit proof of his legal status if he is already living in Canada. He needs to mention the number and code of his express entry profile in the application. He must score minimum of 60 points in the point assessment grid. He needs to give proof of his education and work experience. In some cases the proof of eligibility for Saskatchewan licensure will have to be submitted. Proof of sufficient settlement funds is also needed. The candidate has to score points in this category. This is based on different factors like age, qualification, language skills, education etc. The candidate has to try and score more number of points in order to improve his chances of getting selected. Here there are two occupation lists. One list contains all those occupations for which no licensure is needed. The second list contains the occupations for which licensure is needed. The candidate has to go through both the lists and select the eligible occupation. Based on the occupation selected he needs to complete all the other relevant formalities. As the name of the category suggests this sub category lists all those occupations which are in huge demand in the province. Here too the eligibility criteria consist of submitting the education and work experience certificates. Proof of legal status, settlement of funds and language tests result scores etc also needs to be submitted. Here too the applicant has to score minimum 60 points. This category is for skilled workers who have an employment offer from an employer from this province. It must be noted that it is mandatory for the job offer to be approved by the SINP. The employer has to register on the SINP employer website for getting the position assessed. It must be noted that if the approval has not been received from SINP then the application will get rejected immediately. All the other requirements need to be fulfilled in order to be eligible under this category. Here too the eligibility criteria consist of submitting the education and work experience certificates. Proof of legal status, settlement of funds and language tests result scores etc also needs to be submitted. Here too the applicant has to score minimum 60 points. The total comes to 100 points. The minimum score that the candidate needs to have is 60 points for all the three sub categories. As you can see that there are a number of formalities that need to be completed. In order to avoid confusion and rejection of application it is better to seek advice from a reputed immigration consultant or call @ 1800-102-0109.